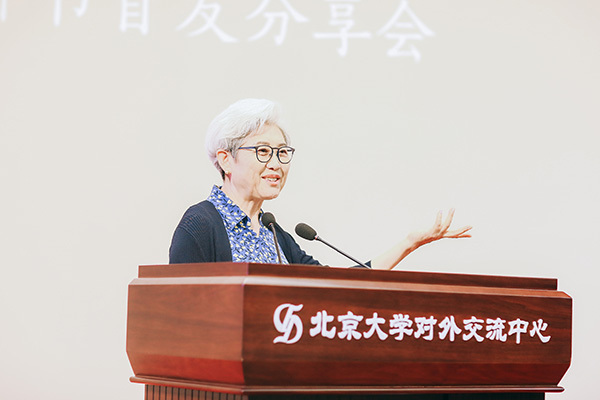 A new book offers an insight into former vice-foreign minister Fu Ying's time as a spokeswoman for the National People's Congress, Fang Aiqing reports. In the informative book named Face to Face with You: the Stories behind Press Conferences, Fu reveals the thoughts behind her responses to questions raised by journalists from domestic and foreign media regarding legislation, diplomacy, economics, social issues and national defense, among others. Equally she details the monthslong preparation for the congress as well as for the news conference that takes place annually on March 4-the day before the NPC, which, together with the Chinese People's Political Consultative Conference, forms the "two sessions".